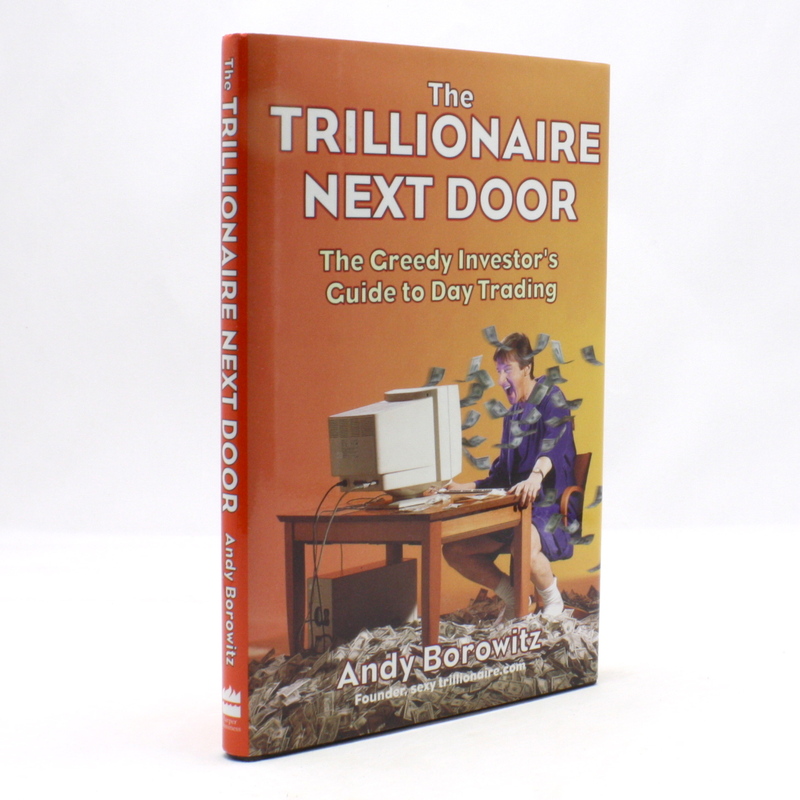 The Trillionaire Next Door: The Greedy Investor's Guide to Day Trading - IFA Vintage and Current Book Library - Index Fund Advisors, Inc. The New Yorker and New York Times humorist Andy Borowitz shows, in plain, simple, tongue-in-cheek-English, that daytrading is a science, just like chemistry or astrology. To those savvy enough to master it, daytrading makes the old methods of buying and selling stocks as obsolete as a month-old cell phone. The Trillionaire's Guide to Daytrading includes such helpful tips as "Never own a stock long enough to know what the company does" and "Any stock worth buying is worth selling four minutes later". Other invaluable gems of wisdom include tips on when to buy, when to sell, and when to call Domino's: advice for the longterm investor: which stocks to hold in your portfolio for five, ten, fifteen minutes, or even longer; and a helpful glossary of economic terms, including "mousepad" and "click".